Institute of International relations and Political Science of Vilnius University together with 10 partners would like to invite you to the Midterm Conference of EU-STRAT Project. 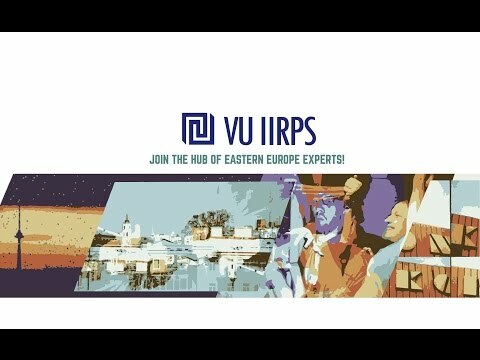 The Midterm Conference will take place in Vilnius, Lithuania, October 5 - 6, 2017 (VU IIRPS Vokiečių str. 10, Vilnius, room 402). EU-STRAT fully titled as “The EU and Eastern Partnership Countries: An Inside-Out Analysis and Strategic Assessment” is an international research project that studies the relationship between the European Union and the countries in the European Eastern neighbourhood. As EU-STRAT has been running since May 2016 and this midterm conference is dedicated to present EU-STRAT’s intermediary research findings, related to varieties of social orders in Eastern Partnership countries, interdependencies with and soft power by the EU and Russia, and feature insights and debates on the future of the Eastern Partnership. Bringing together participants from the European Union and Eastern Partnership countries, as well as third countries, project team seeks to continue raising awareness of EU-STRAT's research agenda, one which is highly relevant in today's political climate. The midterm conference features keynote speeches by Leszek Balcerowicz (Professor at the Warsaw School of Economics, former Advisor to the President of Ukraine Petro Poroshenko) and Vassilis Maragos (European Commission, Head of Unit, Directorate-General for Neighbourhood and Enlargement Negotiations) followed by the roundtable discussion on the future of the Eastern Partnership. Prof. Tanja A. Börzel (The Jean Monnet Chair at the Center for European Integration, the Freie Universität Berlin), Dr. Taras Kuzio (Center for Transatlantic Relations School of Advanced International Relations John's Hopkins University), Dzianis Melyantsou (Belarusian Institute for Strategic Studies) and Khatuna Salukvadze (Ambassador Extraordinary and Plenipotentiary of Georgia to Lithuania) will be among the discussants. All project partners, invited guests, and interested public will have an opportunity to discuss EU-STRAT’s intermediary findings and debate its future research agenda throughout the conference. Please find the programme of the event here.